O’Dwyers GAA (the Club), County, Province and Central Council of the GAA process personal data to administer and conduct GAA related activities. 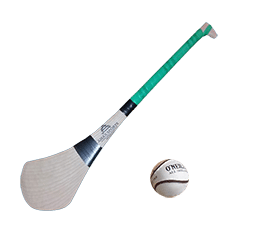 This includes membership and player registrations, team sheets, disciplinary processes, communications and notifications of GAA events, club fundraising activities, coaching activities and compliance related requirements (i.e. vetting and insurance). We will never share your information with third parties for any purpose without your consent. The General Data Protection Regulation (‘GDPR’) is applicable from 25th May 2018 and is designed to give individuals more control over their personal data. In furtherance with the above principles, the following rights are enshrined within the General Data Protection Regulation (GDPR) and are available to every individual in relation to their own personal data. You have the right to receive information relating to the processing of your personal data and this should be provided to you at the point your personal data is collected. You have the right to receive a) Confirmation of whether or not personal data concerning you is being processed; b) Where personal data concerning you is being processed, a copy of your personal information; c) Where personal data concerning you is being processed, other additional information as follows: the purpose(s) of the processing; the categories of personal data; any recipient(s) of the personal data to whom the personal data has or will be disclosed; the retention period or, if that is not possible, the criteria used to determine the retention period; the existence of your rights. If your personal data is inaccurate, you have the right to have the data rectified, by the controller, without undue delay. If your personal data is incomplete, you have the right to have data completed, including by means of providing supplementary information. This is also known as the ‘right to be forgotten’. You have the right to have your data erased, without undue delay, by the data controller under certain circumstances. In some circumstances, you may be entitled to obtain your personal data from a data controller in a format that makes it easier to reuse your information in another context, and to transmit this data to another data controller of your choosing without hindrance. This is referred to as the right to data portability. You have the right to object to certain types of processing of your personal data. You have a stronger right to object to processing of your personal data where the processing relates to direct marketing. You have a limited right of restriction of processing of your personal data by a data controller. Where processing of your data is restricted, it can be stored by the data controller, but most other processing actions, such as deletion, will require your permission. You have the right to not to be subject to a decision based solely on automated processing. Processing is “automated” where it is carried out without human intervention and where it produces legal effects or significantly affects you. If you wish to exercise any of the above rights, you can contact the Club Office on secretary.odwyers.dublin@gaa.ie, County, Province or the GAA Data Protection Officer on 01 8658600 or dataprotection@gaa.ie.